Table Clock NT10 – The skeleton clock NT 10 is already the second clock model in our range using a glass dome for protection. When designing the base of the case, we were inspired by ship floors and ship hulls. A highly polished and gilded 6mm brass plate with cut-outs and four levelling screws form the base. 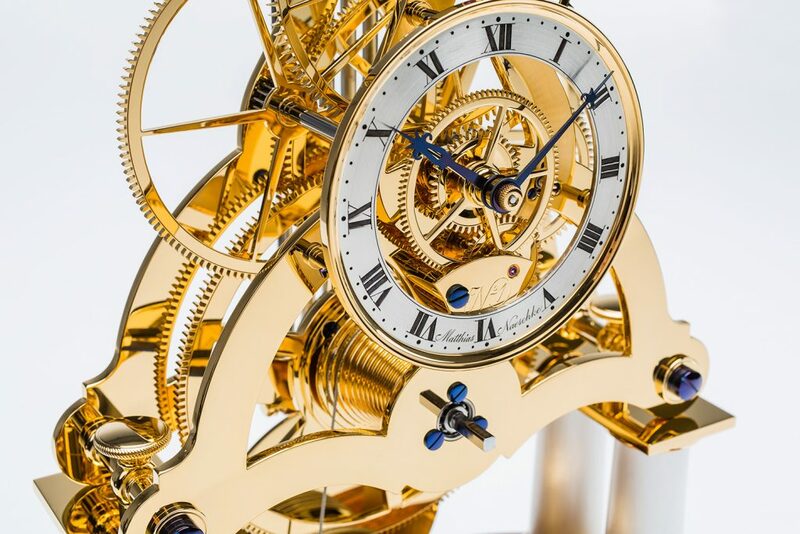 The power reserve of one month is exceptional in this size of skeleton clock.